If you have any questions about the ADRIANA III information page below please contact us. 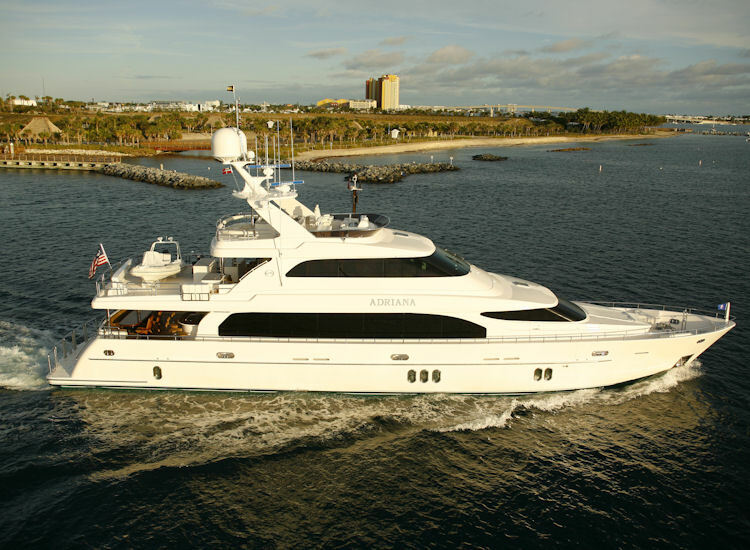 Horizon Yachts finished building motor yacht ADRIANA III in 2007. As such, she was built country of Taiwan. ADRIANA III is a yacht which had naval architecture and design compiled by Horizon Yachts and Horizon Yachts. This superyacht ADRIANA III can accommodate a maximum of 8 passengers all told aboard and 3 crewmembers. Horizon Yachts was the naval architect involved in the professional vessel composition for ADRIANA III. Also the company Horizon Yachts skillfully collaborated on this undertaking. Taiwan is the country that Horizon Yachts built their new build motor yacht in. After her formal launch in 2007 in Kaohsiung the boat was then handed over to the owner following final finishing. 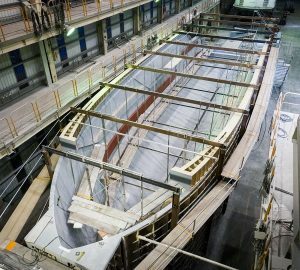 The core hull was crafted from composite. The motor yacht superstructure component is made predominantly using composite. With a beam of 7.15 metres / 23.5 ft ADRIANA III has moderate internal space. She has a fairly shallow draught of 2.2m (7.2ft). The C32 engine installed in the motor yacht is built by CATERPILLAR. Her propulsion units are twin screw propellers. The engine of the ship produces 1826 horse power (or 1362 kilowatts). She is equiped with 2 engines. The sum thrust for the yacht is thus 3652 HP or 2724 KW. Providing chambers for a maximum of 8 visiting passengers staying on board, the ADRIANA III accommodates everyone luxuriously. Under normal conditions she has room for circa 3 proficient crewmembers to run. Total engine power output 3652 HP /2724 KW. The luxury yacht ADRIANA III displayed on this page is merely informational and she is not necessarily available for yacht charter or for sale, nor is she represented or marketed in anyway by CharterWorld. This web page and the superyacht information contained herein is not contractual. All yacht specifications and informations are displayed in good faith but CharterWorld does not warrant or assume any legal liability or responsibility for the current accuracy, completeness, validity, or usefulness of any superyacht information and/or images displayed. All boat information is subject to change without prior notice and may not be current.